HAMLEYS TOY PARADE HAPPENS OUTSIDE HAMLEYS AT REGENT STREET ONCE EVERY YEAR and it truly was packed out with people from all ages. The day kicked off with the biggest toy parade London has ever seen. 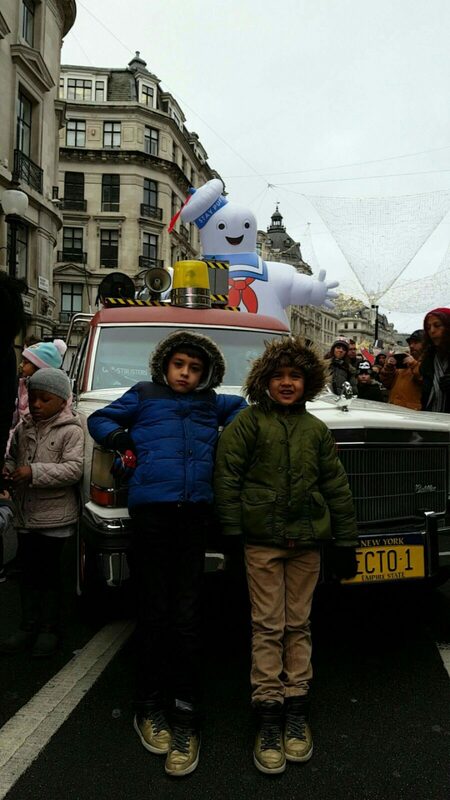 Toy Parade started off at 10:30am from the entrance to Air Street working its way up Regent Street and concluding at Great Marlborough Street. I did not catch the beginning part as my nephews were at their swimming classes but manage to be there for 1:30ish, which I felt was more than enough time as it ended at 4:30 with Fireworks to end a brilliant event. 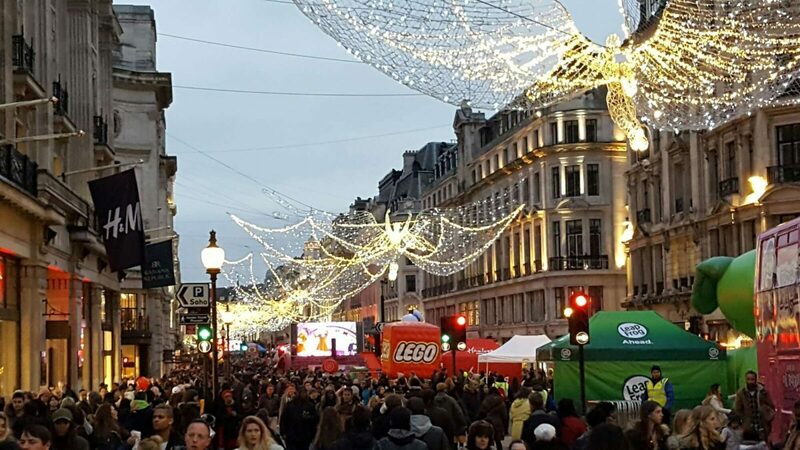 The whole of Regent street was blocked off with stalls of meeting characters from CBeebies as well as TV and film characters. These included Sky Cinema Movie Bus, CBeebies Village, NERF Vault, Power Rangers Power Dome, My Little Pony Bus. A lot of activities was happening for kids to enjoy themselves. Also, if that was not enough there had plenty of acts on two separate stages one main stage for various acts and a CBeebies stage outside Hamleys these included a Stagecoach Dance Troupe, Basil Brush live show as main acts and on the CBeebies stage, there had Justin Live, everything Rosie and Postman Pat. 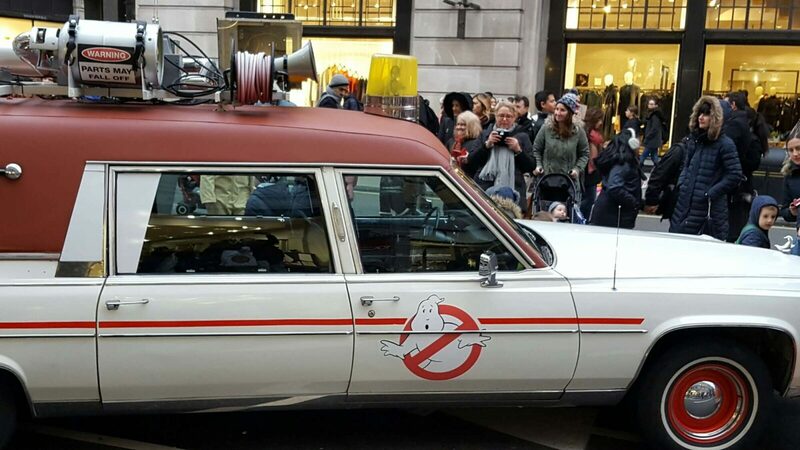 As you come out from Oxford Circus station first thing we saw was Ghostbusters car and floating ghost as we walked into a huge toy parade, an old school classic movie/cartoon. As people remember the famous catchphrase ‘Who you gonna call’? GHOSTBUSTERSS! 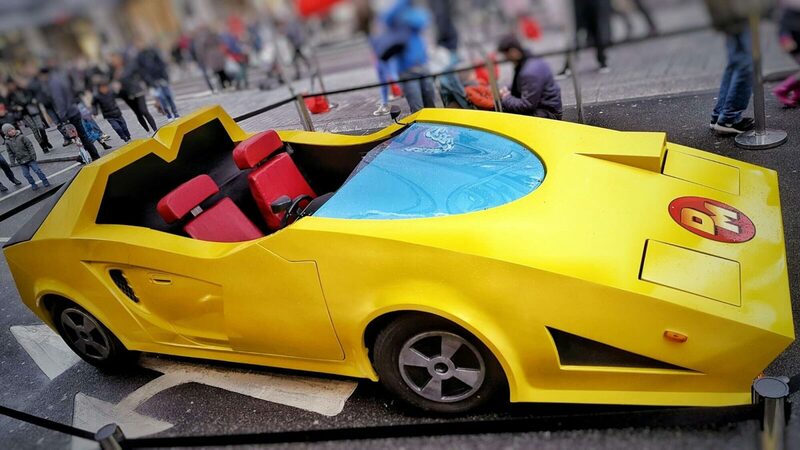 One TV show that caught my eye was this amazing yellow *Danger Mouse* machine, looked like a classic turbo car to drive in, this truly brought back childhood memories as I use to watch this all the time after primary school had finished on TV. Basil Brush live was one and only show I caught majority of it towards the front, as the crowd was huge each time a show was on being shown live on the main stage. I did manage to record some of the live show as well other stalls, which were on the road. You can now this my footage above on YouTube. Sonic Boom and Transformers were another classic shows that stood out, especially the Sonic games I use to love those running around in circles and collecting rings. I’m sure everyone remembers those classic games on their Nintendo or even perhaps on their phones. Transformers everyone remembers them from the movie and that car above looked the part known as *Bumblebee*. 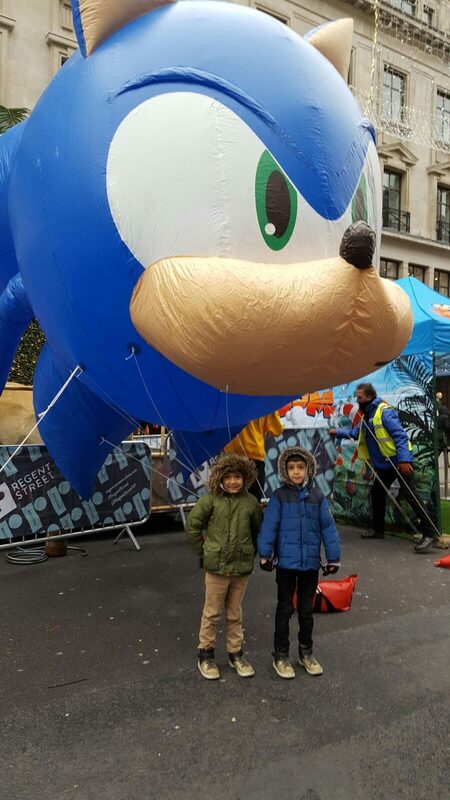 My nephews really enjoy watching the tv show and playing Sonic games, so I thought I must get a photo with and only closest one to Sonic I manage to get them close to was Sonic balloon, as the queue for seeing three Sonic Boom characters was far too long approx 30 mins or so. We tried queuing up but kept being cut off as they were only a certain amount of people queued up who got to see them. Although we did not manage to see most of the characters in person, I did manage to speak and gain few of the Ghostbusters character attention who was wandering around the street with their costumes. Hence, I got my nephews to take photo’s with them and we got to see Play-Doh up close making their way out of their stall as their meet and greeted people. 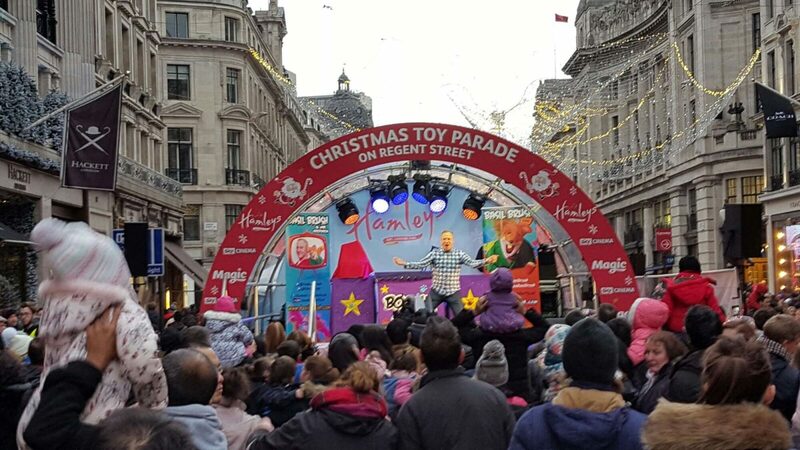 Hamley’s toy parade ended with plenty of fireworks on display for people to view and enjoy, which was really good and exciting for many young ones. To end I must say, I probably enjoyed the toy parade more than my nephews did, since I was taking lots of video footage and pictures majority of the time of those characters who were greeting people. Most importantly as long as my nephews enjoyed themselves as well that should all it matter, which I’m certain of they did despite the freezing cold weather outdoors. My birthday is only a few days away and I’m certainly am looking forward to relaxing and enjoying a day to myself. Don’t forget to follow me on my Instagram and social channels for latest updates.